Abu Dhabi’s Yas Waterworld, a one-of-a-kind waterpark offering families fun-packed adventures and the engaging themed experiences, is set to introduce the region’s very first open-air waterpark cinema. 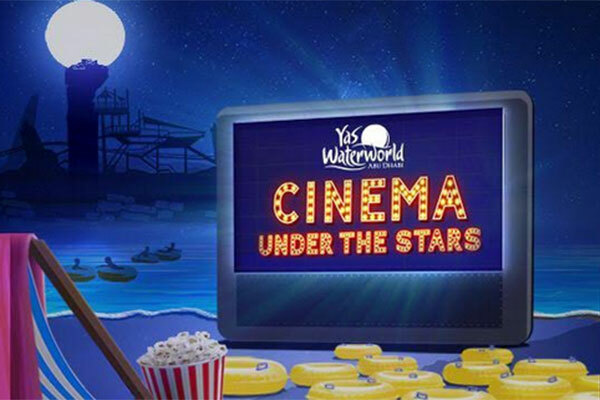 On November 16, Cinema Under the Stars joins a line-up of one-of-a-kind experiences offered by Yas Waterworld. Beginning at 6 pm, every Friday until November 30, and every Thursday and Friday until December 28, the park home to a sprawling collection of more than 40 rides, slides, and attractions will invite guests to a unique cinematic experience under the beautiful night sky. Open to waterpark fans of all ages, friends and family can sit back and relax in beach chairs or inflatable tubes as they watch their favourite movies play on an outdoor cinema screen at the Amwaj Wave Pool.